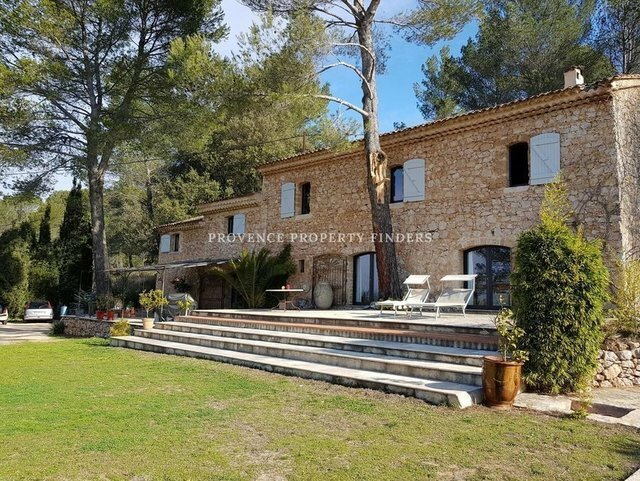 In an exceptional environment we have this beautiful old Bastide for sale of approximately 200m2 of living space.Living room of 41m2, fitted kitchen of 22m2, 4 bedrooms (of approximately 29,19,18 and 10 m2),a bathroom and a shower.7528m2 plot of olive trees and vines.Big swimming pool. Workshop. Wine cellar.Beautiful terrace on the south, with a dominant view of the Provencal countryside.Charm and authenticity, combined with a privileged location make this accommodation a paradise for nature lovers.